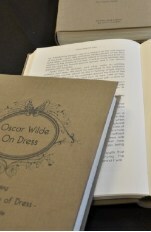 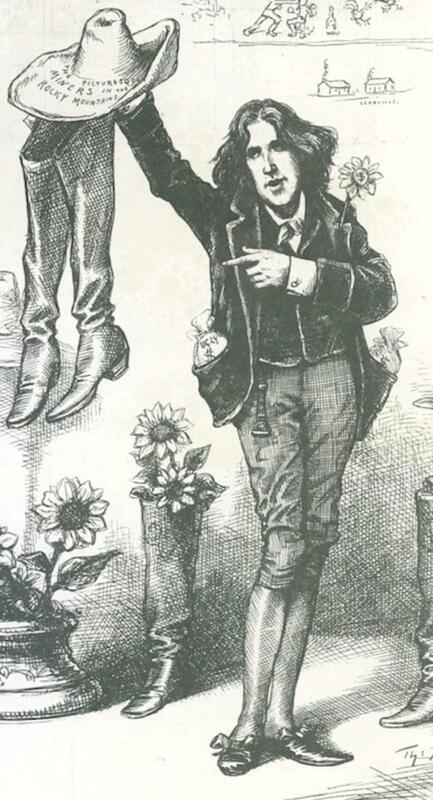 We think Mr. Wilde's manner, dress and delivery very unfortunate, but must confess that we cordially wish that his noble and blissful sentiments in respect to the ordering of a true and happy life would sink deep into the hearts of this people. 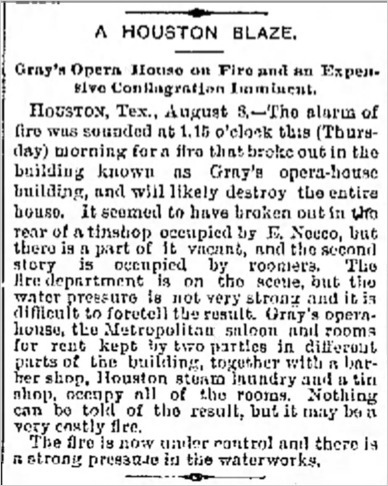 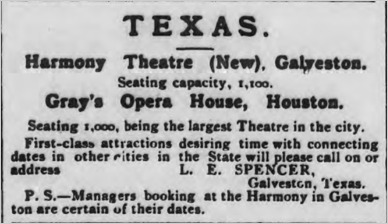 Replaced by: Sweeney and Coombs Opera House (opened November 3, 1890) which later became the Houston Theatre and The Prince. 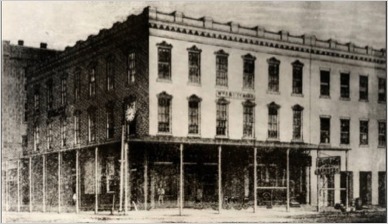 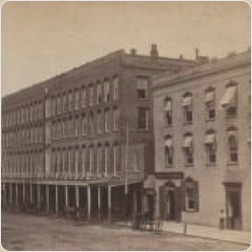 But this is not the same building as Gray's as sometimes suggested.